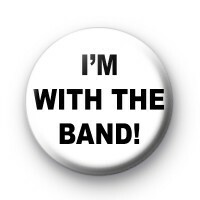 White Im With The Band badge with bold black text. Perfect for all mega fans & roadies. Standard 25mm button badge hand made in our UK workshop.